American Coffee Services is a premier provider of in-room hotel coffee and hospitality supplies. We offer single cup and four cup guest room coffee programs. We distribute to many national hospitality brands including: Crowne Plaza®, Radisson®, Holiday Inn®, Sheraton®, Hilton®, Embassy Suites®, Hampton Inn®, Doubletree®, Best Western®, Comfort Inn®, Courtyard®, Super 8®, Quality Inn®, Clarion® and more. Single cup coffee pods are an excellent choice for guest room coffee. Pods are economical and offer guests a fresh brewed cup of delicious coffee. 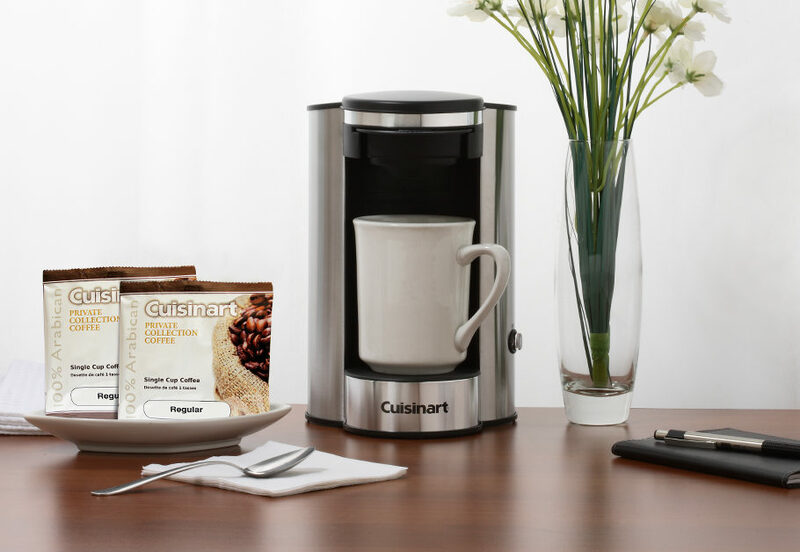 We recommend high quality Cuisinart® commercial pod brewers along with one of our premium single cup pod brands, including Cuisinart®, JavaOne®, Baronet®, Melitta®, and Wolfgang Puck®. 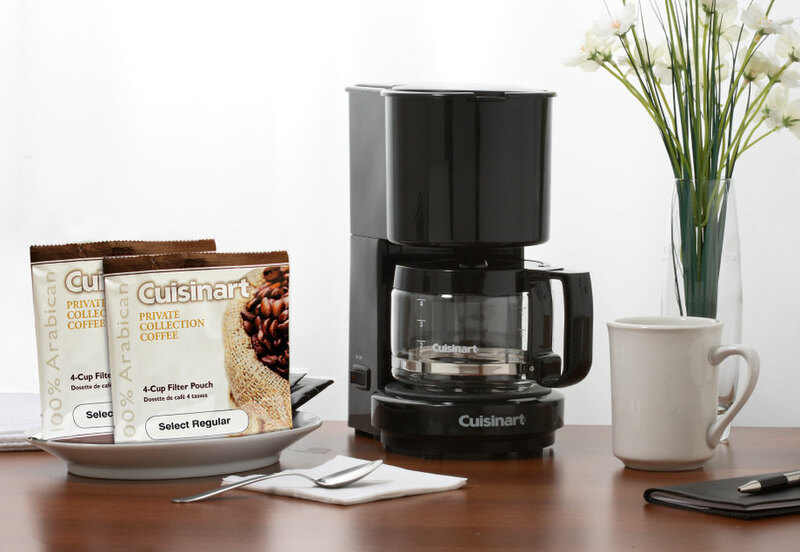 Keurig® uses the latest single cup brewing technology to deliver a cup of gourmet coffee that your guests will rave about. 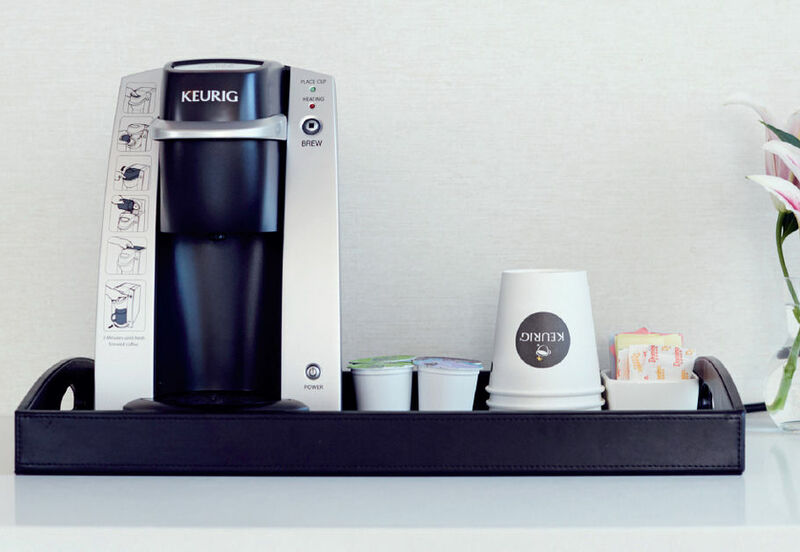 Our Keurig® program includes a commercial rated coffee brewer designed specifically for in-room use. Choose from a wide selection of coffees from national brands including Starbucks® Caribou®, Green Mountain® and Wolfgang Puck®. Contact us to find out more about our Keurig® hospitality coffee program. Our traditional 4 cup guest room coffee service features standard 4 cup commercial brewers (glass pot or stainless steel carafe). We offer a variety of branded coffee filter packs including Starbucks®, Cuisinart Coffee®, Maxwell House®, and our own ACS 100% Arabica House blend. We also stock "All-in-Bag" products that include the coffee and condiments in a single package.